A QR code is a short term for Quick Response, meaning the squared black and white code can be scanned and read by a smartphone in real time, taking the user to a particular piece of information, product, payment, or website on their phone instantly. Although QR codes are not as common in western cultures, they are ubiquitous in China covering magazines, billboards, webpages, restaurants, cafes and shops. In fact, if you visit China you will see just how much more advanced it is in terms of mobile payments, with many shops and supermarkets not accepting cash and most people paying via their smartphones with Alipay or WeChat Pay. WeChat, the most popular app in China, has an in-built QR code scanner. Chinese tourists want to use QR codes to do just about everything while traveling. 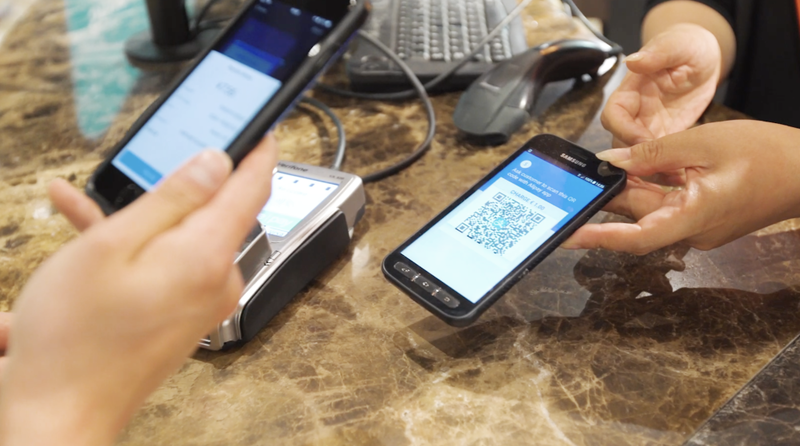 From making quick payments at restaurants, finding attractions nearby or simply just gathering more information on nearby shops, scanning a QR code is the preferred method of making payments and getting and relaying information quickly. To learn more about setting up QR codes for your business, contact our team at BusinessinChina.ie who will be happy to assist you.